LP: Limited edition of 500. 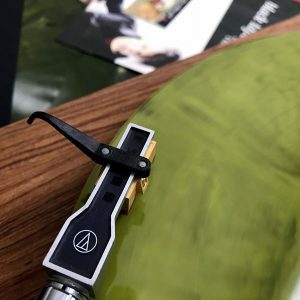 Double-LP 150 gram green-swirled color vinyl. With: 12-page booklet (7″ x 5″ landscape-shaped), thick jacket stock, matte varnish, Bandcamp download card included. Picking up Blacktape’s classic 90s darkwave, ethereal sound; original vocalist Oscar returns on their 30th anniversary. Given where Black Tape for a Blue Girl began over a quarter of a century ago with founder Sam Rosenthal’s exploration of brooding, extended electronics and strings meshed with deeply revealing lyrics and darkly textured, melodramatic vocal performances, it’s striking to see his muse and inspiration reach a new peak on their 11th album, These Fleeting Moments. The ethereal, gothic and darkAmbient stylings that made them one of the originators of American darkwave are offered on this release which coincides with the band’s 30th anniversary. Rosenthal reinvigorates their classic sound with the return of original vocalist Oscar Herrera, absent from music for 17 years. The band emerges from the studio with 70 minutes of powerful, gorgeously yearning tracks born from the same place as their 90s classics Remnants of a Deeper Purity and A Chaos of Desire. Sam’s lyrics explore the existential predicaments of time’s passage, choices questioned, and loves lost. Oscar’s darkly dramatic vocals are complemented by Dani Herrera’s emotional and heartfelt voice, Nick Shadow’s visceral viola, Brian Viglione’s (The Dresden Dolls) driving drums, and Rosenthal’s pensive electronics and revelatory songwriting. Director David Lynch, former pornographic actress Sasha Grey and writer Poppy Z. Brite are some of their more well-known fans. 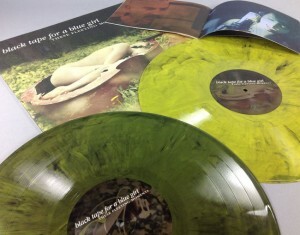 A quick review from Black Tape For A Blue Girl fan Sean, in Scotland: Sam – you do not disappoint! The album is just simply stunning. Beautiful, powerful, melancholy… incredible. Having Oscar back really links it to the past and, although certainly a more “classic” sounding BlackTape album than 10 Neurotics, there is still the continuing evolution of the music and vision – no backwards movement here! Anyhow, I just had to say that! On their 30th anniversary, Black Tape For A Blue Girl returns to their evocative ethereal, neoclassical, gothic roots with an album exploring the existential predicaments of time’s passage, choices questioned, and loves lost. Original vocalist Oscar Herrera rejoins the band after a 17-year absence. His darkly dramatic vocals are complemented by Dani Herrera’s emotional and heartfelt voice, Nick Shadow’s visceral viola, Brian Viglione’s driving drums, and band-founder Sam Rosenthal’s pensive electronics and revelatory songwriting. These Fleeting Moments, their 11th studio release, is 70 minutes of powerful, gorgeously yearning tracks born from the same place as their 90s classics Remnants of a Deeper Purity and A Chaos of Desire. The band boldly opens the album with “The vastness of life,” a 17-minute five-part epic reminiscent of Remnants’ “For you will burn your wings upon the sun.” It’s an expressive track — powerfully solemn, stirringly elegant and evocative — drifting between defiant, resigned and striking vocal sections and floating ambient passages. The lyrics explore the album’s theme: questions about life choices, our personal story, and if we have the courage to live in service to our ideals. The album’s lyrics range from emotionally wrought to delicately sensitive, detailing fears of revealing the true self, betrayal of one’s body in the hands of a lover’s promises, contemplating our interconnectedness to others, or poking fun at mankind’s belief that we are more important than other animals. After three decades recording music and running the Projekt record label, Sam drew upon internationally-acclaimed talent to record the album. Guest musicians include The Dresden Dolls’ drummer Brian Viglione, SoulWhirlingSomewhere’s vocalist Michael Plaster, and electronic solo artists Erik Wøllo and Mark Seelig. Newcomer Chase Dobson adds guitars and bass. This deluxe-CD and the double-LP were funded at Kickstarter. The standard CD edition on Metropolis Records will be in stores August 12. The vinyl will be available near the end of 2016. A return to form, of sorts, for goth/darkwave group black tape for a blue girl. With its texture and music, this release feels the closest to 1993’s this lush garden within that black tape has been in a long time. As good as the intervening albums were, none of them felt quite as satisfying. So, it’s a joy to hear not only that old sound again, but also bandleader Sam Rosenthal adding new elements and colors to his arsenal — there are even a couple of effective Moog workouts! Reflecting the new/old angle is Oscar Herrera’s return to the fold; he helmed the group’s lead vocals for the first five albums. It’s been a full thirty years since Sam Rosenthal began operating as Black Tape for a Blue Girl. Over that time, there have been ten albums showcasing ethereal, gothic (in the theatrical, brooding sense, rather than goth-rock sense) and dark ambient sounds which established them as pioneers of American darkwave. Perhaps it’s because of their vanguard position that they’ve maintained a relatively modest cult status in the shade of various associated acts and artists they’ve influenced. These Fleeting Moments, their first album in seven years and released to coincide with their thirtieth anniversary, sees the return of original vocalist Oscar Herrera, after a seventeen-year hiatus from music. It’s perhaps fitting, then, that the album represents something of a return to the roots of Black Tape for a Blue Girl, a name which conjures uncomfortable images while simultaneously evoking doomed romance and the extremities of twisted devotion. Opening the album with a seventeen-minute behemoth is a pretty bold move. ‘The Vastness of Life’ encapsulates its own essence within its title: a track that builds from a brooding neofolk strum and drifts through a succession of transitions through weeping string and passages and segments of wispy, ethereal ambience, it’s an epic journey which is practically an album in its own right. The twin vocalists emote achingly and pour every last drop of soul into these rarefied moments. Where could any album go from there? With the exception of ‘Meditation on the Skeleton’, with its ten-minute running time, the remaining twelve tracks are relatively concise, with ‘Limitless’ a quintessential example of the 90s goth darkwave sound as exemplified by the likes of Every New Dead Ghost and Suspiria: fractal Cure-esque guitars reverberate around cold synths by way of a backdrop to a melodramatic baritone vocal delivery. But neither track individually represents These Fleeting Moments as a whole. In fact, no one track does, and the album’s diversity is quite something, spanning shoegaze and folk and neoclassical, often simultaneously. Much of the instrumentation is organic and natural-sounding, with piano and strings at the heart of many of the compositions. These are used to diverse effect, from the sparse, haunting moorlands of ‘Please Don’t Go’ to the insistent throb of ‘Six Thirteen’. But for all the range, all of the grace and elegance, a darkness hangs over every piece: ‘Bike Shop’ is no whimsical indie pop ditty, and elsewhere, ‘You’re Inside Me’ invites comparisons to both Scott Walker and Marc Almond, and ‘Zug Ko-In’ is a slow-turning hypnotic track which calls to mind both The Doors and more recent Swans and features a soaring guitar solo. Biorąc pod uwagę, że założyciel Black Tape for a Blue Girl, Sam Rosenthal, rozpoczął swoją muzyczną działalność już ponad ćwierć wieku temu, eksplorując przepastne brzmienie, wypełnione elektroniką i smyczkami, zmieszanymi z głęboko odkrywczymi tekstami i mrocznymi teksturami, do tego melodramatyczne popisy wokalne, co stanowi niezwykłą możliwość, aby zobaczyć jego muzę i źródło inspiracji osiągającą nowy szczyt na 11 albumie, These Fleeting Moments. Stylistyka ethereal, gothic i dark ambient sprawiły, że zespół jest jednym z twórców amerykańskiego darkwave, i prezentuje na tym wydawnictwie podsumowanie 30 lat kariery. Rosenthal wskrzesza klasyczne brzmienie, wraz z powrotem dawnego wokalisty Oscara Herrera, który przez ostatnie 17 lat nie występował. Grupa stworzyła w studiu 70 minut mocnych, wspaniałych i tęsknych utworów, jakie powstały w podobny sposób jak pochodzące z lat 90-tych klasyki Remnants of a Deeper Purity i A Chaos of Desire. Wokal Oscara jest ponury i dramatyczny, a dopełnia go głos Dani Herrera, który jest emocjonalny i pochodzi prosto z serca, do tego głęboka altówka Nicka Shadow’a i wciągająca perkusja Briana Viglione (The Dresden Dolls) i dająca do myślenia elektronika Rosenthala i odkrywcze teksty utworów. Black Tape For A Blue Girl, the highly accomplished purveyors of ethereal Darkwave & Neo-Classical music, return with their 11th album ‘These Fleeting Moments’, which also celebrates their 30th Anniversary. Not only is the album marking a momentous occasion for another milestone reached, this release sees the return of original vocalist Oscar Herrera after a long-term absence of 17 years. At almost 18 minutes, the harrowing opener ‘The Vastness Of Life’ is a difficult song to get through. There is a progressive, musical narrative in the opening track, in essence a mini soundtrack of sorts. From the very beginning it evokes genuine bitterness with lyrics of such crushing, heart-felt honesty, whilst the long ambient passages and lamenting anguish of the viola solo part-way through this song contrast the initial bitterness, replacing the anger and resentment with sadness and self-reflection. Many subjects are interwoven within this piece, from personal regrets and the passage of time, to the benefits of hindsight and the regrets of a life unfulfilled. ‘Limitless’ is the most accessible track on the album and picks up both the tempo and mood. There is a lovely groove to the bass and the swirling synths perfectly match the the cosmic, somewhat spiritual subject matter. The acoustic Neo-Folk number ‘One Promised Love’ is beautifully arranged. An emotionally charged, evocative and heart-felt acoustic ballad. ‘Bike Shop / Absolute Zero’ seems to be a personal song about an actual event, but reveals very little and leaves me questioning what the purpose of the story is. It’s a little strange and uncomfortable to listen to, which is maybe it’s sole purpose, but it does seem disjointed compared to the rest of the album. The simplistic, sparse composition of ‘Affinity’ features delicate vocals accompanied by an arpeggio and smooth pad accompaniment from Sam Rosenthal’s vintage synths. Next is a trilogy of instrumentals, two of which would be very fitting as part of a score for a dark, psychological thriller. ‘Please Don’t Go’ is reflective and lamenting, to the point I can feel the emotions pouring from the viola as it plays. In contrast, ‘Six Thirteen’ features heavy, rumbling drones and a solemn pounding drum, evoking a gloomy, grim atmosphere. ‘Zug Köln’, the third of the instrumental pieces is lively, up-beat and melodic and is a melting pot of genres, mixing Rock, Neo-Folk and Mittelalter (Medieval music). Such a combination may seem like it would result in an unlistenable mess, but it’s perfectly palatable and the eclectic range of instrumentation works well together. The guitar solo is a particular highlight. ‘Meditation On The Skeleton’ is a pleasant surprise and marks the beginning of a transition towards a lighter mood for the remainder of the album. This track is quite literally an introspective guided meditation that is both grounding and incredibly blissful. There is definitely an exploration, or at least an inquisitiveness, of spirituality, focussing mostly on cosmic, Eastern and earth-based Shamanic practices. ‘Desert Rat-Kangaroo’ is a sobering song, referencing many now-extinct species as a way to pose the question of why we believe humans are more important than other living creatures on Earth. It asks why we think we are so important, whilst other creatures are now extinct, or on the brink of extinction, largely due to our impact on this planet. Oscar’s daughter Dani lends her vocals on another of Sam’s more personal relationship songs, ‘She’s Gone’. Accompanied by acoustic guitar, delicate synths and a gentle rhythm, Dani’s vocals are suitably delicate for this style of song and faultlessly express the lyrical sentiments. ‘She Ran So Far Away…’ brings back the electric line-up in hazy, shoe-gaze fashion. This track is heavy on reverb, with a steady tempo and constantly building musical soundscape capped off with a brief vocal passage before gently ebbing away to its close. The final track is a touching, warm-hearted song composed to represent a conversation from a father to his son from the elder’s death-bed. The message is a poignant reminder that whilst we live only for this brief moment, the memories and cherished experiences we carry within us are far more valuable than life itself. It’s filled with sentiment and leaves me feeling a real sense of completion having journeyed through the entire album, making the transition from the bleak and resentful opener to the resolute and enlightened closing song. The brutally honest and partly cryptic way in which Black Tape For A Blue Girl present their material may not appeal to all and it can be a challenge to truly understand exactly what message the band are trying to convey, but that’s what I find so appealing. This is an album that requires multiple listens to unravel the various themes and lyrical dialogue within and for the most rewarding experience, I personally recommend investing time to listen to the whole album in a single session, as the story arc running through it has been brilliantly designed. With the exception of ‘Limitless’, the songs may not have a great deal of appeal individually, but it would be unfair to expect them to do so, as I believe Sam’s intention was to present the album as one cohesive body of work, rather than a collection of individual songs that simply have a common subject or style to connect them. Changing seventy minutes of dried time into a lush glade flourished in musical prose, gently lit by the existential gleam of a dying sun, the broody atmosphere of Black Tape For A New Girl meets their eleventh album in the midst of their thirtieth anniversary, beckoning you in to a dark dream while you reverie within its unhurried embrace. Opening up to The Vastness of Life, an epic of five consecutive parts, Sam Rosenthall and co. engage with their nostalgia ruminating on existentialism in a somber and despairing tone to sound out the coming reflections of past memories. The considerations of which could be taken straight from a random high-school Goths’ diary, but not in a bad way, and with way less archaic language. In fact its harrowing Lacrimosa juxtaposes an eerie beauty while it engenders thoughts and feelings that are new and exciting but entirely alien to those that accept fear as their sovereign. With sentiments to some kind of moribund opera original vocalist Oscar Herrera returns to bleed tears from the lyrical content after departing around nineteen-ninety-nine. The imagery he inspires affects a dialogue with the listener and even through his majestic soliloquy questions beckon from his expressions. Yet philosophical anecdotes aside the dulcet compositions of These Fleeting Moments are similar to what is associated with world music, yet they harbor a deeply gothic touch. Its pastoral and often mystical conveyance is both enchanting and haunting in its instrumental range, which features both organic and synthetic operations. It’s not all radiant conjectures on life, love and the universe as there are some more traditional goth rock moments, especially in the sound of the guitar parts. Where they inspire that black sound and hark back to the popular eighties tone. These rockier passages contrast the imposing and engrossing mood of the album with an overt and emphatic passion for the darker side of music. As pioneers of dark/coldwave it’s an expectation that’s surpassed in its execution. 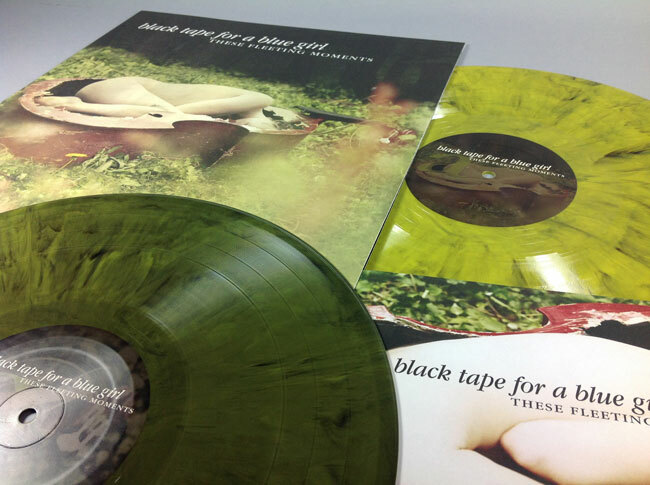 Black Tape For A Blue Girl show their affinity for contemplative nocturnes. Its strange allures come across as both dissonant and neoclassical but they mix confidently into a robust tale on mortality and wistful thinking. After a lengthy campaign of crowdfunding, the first release since 2010’s Ten Neurotics has finally released from one of the Goth/darkwave scene’s most prominent acts. Originally formed in 1986, Sam Rosenthal’s long-running troupe have been known for some of the most respected albums in the darkwave scene, like Remnants of a Deeper Purity and The Scavenger Bride among myriads of others. Black Tape For A Blue Girl hopes to bring back the classic darkwave ambience nearly missing from their previous couple of albums to form here and after having soaked this recording in a little more, I can indeed say that they’ve done just that. For starters, this record is seventy minutes long which leaves plenty of room for atmosphere – and that’s just what we’re getting. 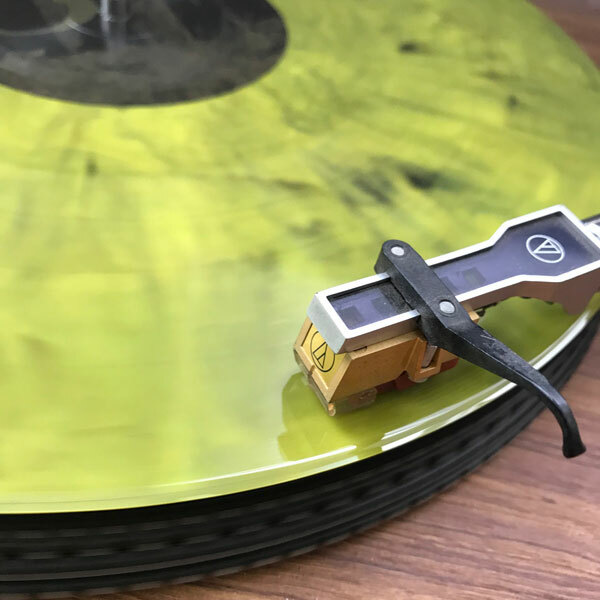 As a matter of fact, the record opens up with an immense piece by the name of “The Vastness Of Life” which literally sits us back into the band’s golden age. It’s as if the modern albums never even happened. Such a track simply demands your patience, so don’t expect to rush through it, or to soak in everything from your first listen. If you have a short attention span, you might want to do some meditation or suchlike in order to calm your racing mind so that you can truly sit down with this piece and give it what it deserves. The record is extremely immersive, as such tracks like “six thirteen” and “meditation on the skeleton” prove to be much more than some of the Goth romps that we get with “Limitless,” “One Promised Love” and closer “You’re Inside Me.” Though as I continue my listen, I find that there are a couple of songs sandwiched in here that contain more unexpected moments, like the shoegaze rock of “She Ran So Far Away” and the Dead Can Dance flavor of “Desert Rat-Kangaroo” which seem to create a great deal of diversity on the recording – a diversity that I never saw coming. It is here where I should mention that the disc was preceeded with an EP by the name of The Bike Shop. Suffice it to say, I thought the EP was rather boring and almost felt a bit emo to me, which had me a bit worried for the final release. Yet soon after I noticed that These Fleeting Moments was indeed such a diverse album, “Bike Shop – Absolute Zero” actually managed to fit in quite snug with the rest of the material on the disc. The song in general is nothing exquisite, as it is merely a playful little song about a personal relationship and a bike shop, but not everything here can be as ethereal as “Affinity” or as Cure-influenced as “One Promised Love.” I’ll also add that I never expected to hear a guitar solo appear in the folk-influenced instrumental “Zug Koln.” It feels like there’s something here for nearly every fan of the darkwave, gothic or ethereal genres, which is definitely the best thing they could have done with this recording. That being said, please keep in mind that of the thirteen pieces featured on the recording, several of them contain absolutely no vocalizations at all and what I’ve said in the beginning of this review still applies. For example, deep within the core of the recording there lies a twenty-minute section in which one will observe several types of meditation. Here we have much of what Projekt consists of today, with Erik Wollo himself even playing a part on “Zug Koln.” The record is actually composed of four parts, and also features a few other guest performers aside from the main band. Black Tape For A Blue Girl have had several notable lineup changes in the past, but as of right now the act consists of Rosenthal composing the majority of the instrumentation apart from Nick Shadow on viola and Brian Viglione on drums. The vocals are handled here by the band’s legendary frontman Oscar Herrera, who notably performed on the act’s first seven albums. Danielle Herrera also appears as the female vocalist, showing her strength on pieces like “She’s Gone” and of course, “Affinity” by which I’m nearly reminded of Nicki Jaine. Yes, folks – this is the return to form by which we’ve been expecting. All of the time waiting and all of the money that you spent funding this recording was worth it entirely. Providing extra support on the record is Chase Dobson, who handles the electric and bass (he’s responsible for the solo I mentioned earlier) as well as Michael Plaster who appears on “Bike Shop – Absolute Zero” as the primary vocalist. We also have Mark Seelig on basuri flutes for “Meditation On The Skeleton” a piece that definitely takes from the very best of Dead Can Dance. There is so much that I could say about this album, but it’s best that you experience it for yourself. Look at this review as a guidepost, what you can expect from your purchase – but please, do not take this as a complete summary of a work that requires so much further examination, like one of Crowley’s books or Alan Moore’s graphic novels. This is the kind of sit-down record that requires a great deal of focus, and you should literally sit down and focus on it. It’s the kind of record that you play after the day’s activities have more or less concluded, and is recommended for a time of contemplative reflection. 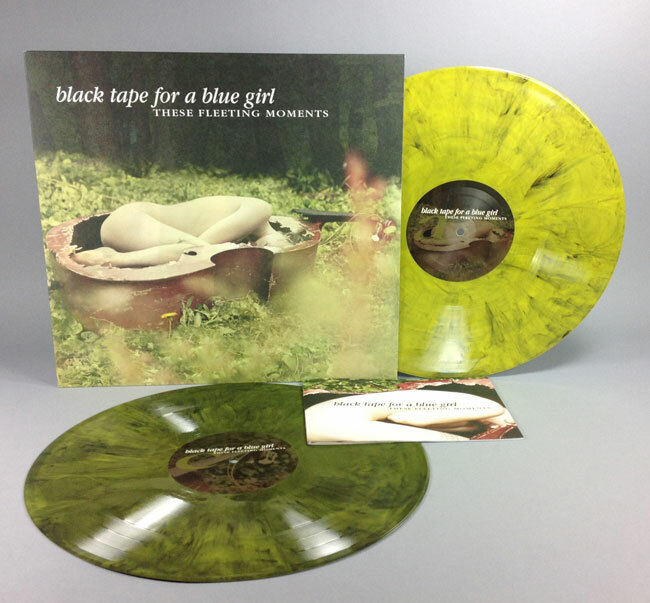 It may very well be one of Black Tape For A Blue Girl’s most ethereal releases, but it certainly reflects a growing sense of maturity, as well as a greater sense of purpose for the band, their music, and the myriad of messages behind it. Thirty years ago, back in the times when an abundance of synth bands were thriving with their wacky, colorful, and catchy MTV videos, a sub-genre called Dark Wave was emerging. 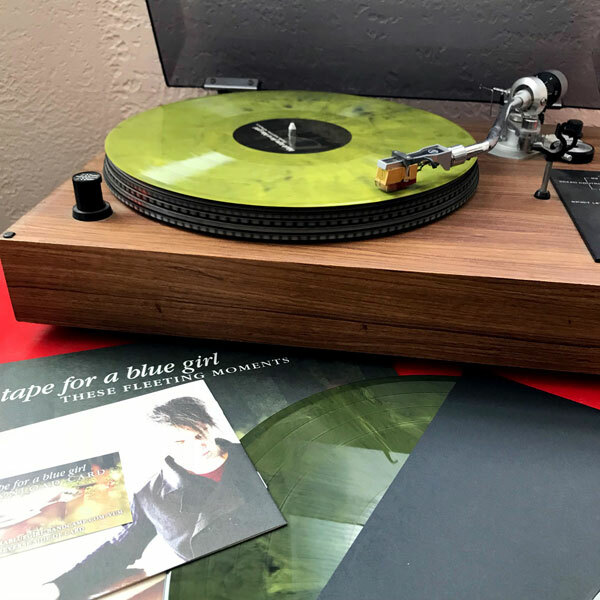 Around that same time, a group by the name of Black Tape for a Blue Girl emerged in 1986 with their debut of The Rope, an album which was very inspiring, as well as eye-opening. Dressed with beautifully dark and ethereal male and female vocals along with deep melodies, it was created by using analog synth along with real instrumentation for something rather unique. Consistently releasing music between 1986 and 2009, they still remained out of the mainstream limelight, even in spite of their more popularly received 1996 album, Remnants Of A Deeper Purity. Through it all, they have maintained a solid fan base thanks to their ability to emerge from the depths of the underground to bring the emotional instability of life at times and all its vulnerability to the surface. Now seven years removed from 2009′s 10 Neurotics, an album which brought on a whole new mix of players to join founder Sam Rosenthal, times slowed a bit for Black Tape For a Blue Girl, that was until August 12th, 2016 when they released their eleventh studio album, entitled These Fleeting Moments. Released via Metropolis Records, the fresh music has excited fans dedicated to the band’s signature magic involving quizzical darkness with Gothic undertones. Adding more intrigue, original Vocalist Oscar Herrera has rejoined the band after a seventeen year absence and his darkly empowered vocals are complemented by his daughter Dani Herrera’s emotional, youthfully heartfelt voice, Nick Shadow’s viola, Brian Viglione’s drums, along with Rosenthal’s electronics and brilliant songwriting. Worth the wait, These Fleeting Moments is a wonderfully conceptual album from start to finish and will remind listeners just how short life can really seem when the present can turn to a past memory in the blink of an eye. Completing the overall package, the album cover is a surreal depiction of a naked female curled up inside a smashed up cello or over-sized viola in a field near the woods and mixed with the lowercase writing of black tape for a blue girl; fluidly and creatively representing the idea that love and loss from childhood to adulthood makes for a vulnerable, emotional life through the eyes of pain, which at times, is hard to manage. Thirteen tracks in total, These Fleeting Moments features various lengths of woe, sorrow, and promise among other emotional states of bliss and burden. Beginning with the album’s longest of the tracks, “The Vastness Of Life,” it spans through eras and dimensions for over seventeen minutes while creating a profoundly and imaginative visual, setting the mood for the entire album. That said, the somber melodies of the viola could be an appropriate atmospheric addition either to a funeral or a wedding while the female vocals are as strong as others on previous albums; she remains a focal point to carry throughout to the bitter end in harmony with the male vocals. Ending with the lyrics, “life can pass us by in an instant and what have I done” are exactly the theme of the album. Music as a work of art is what Black Tape For a Blue Girl is all about, and they prove so on songs such as “One Promised Love,” “You’re Inside Me,” and “She’s Gone,” all of which relish in their great lyrical afflictions. This also includes serene melodies with “You’re Inside Me” being a top contender. Then there are beautiful and primary instrumental works including “Please Don’t Go” and “She Ran So Far Away” sweetening the pot, making the record that much more desirable. On the other end, “Bike Shop_Absolute Zero” is an interesting acoustic and synth enhanced track with male dominated vocals that depict a love scenario. It may be among the more light-spirited songs on the album, while in contrast, female dominated vocal piece “Affinity” acts as a counterpart, almost in a response. Perfectly placed, “Meditation On The Skeleton” is almost silence for thirty seconds before chiming in with somber instrumentals including flutes followed by male vocal chants bringing in that Gothic chamber vibe once more. Also, “Desert Rat-Kangaroo” seems as if it is a follow-up counterpart composition with its piano textures and male lyric harmonies, picking the mood up right where it left it. With These Fleeting Moments, Black Tape For a Blue Girl continues to elevate the common emotional state of a passionate human ready to feel through another artist’s experiences, storytelling lyrics, and melodies. This is a band that has not fallen short of creating what they wanted to when and how they wanted to, and through it all, they have managed to appeal greatly to the lives that seek them out and appreciate what they have to offer. With correlation to earlier works including The Rope, Remnants of a Deeper Purity, and 1991′s A Chaos Of Desire, this new album has very different songs and is worth the listen alone, but are also a step above in one unified collection that should be listened to from beginning to end. All that in mind, These Fleeting Moments sheds a die-hard beam of light on a dark, vulnerable, and somber world, and for these reasons, CrypticRock gives the album 5 out of 5 stars. There’s no better illustration of the struggles independent artists go through to fund their work than the length of time between projects, Case in point: it’s been seven years since the last black tape for a blue girl album, 2009’s 10 Neurotics (though, to be fair, only three since that record’s remix version Tenderotics). But the clouds have lifted, the sun peeks over the horizon, and These Fleeting Moments, the long-running act’s latest LP, arrives at last. After a couple of records of groovy gothic pop, leader Sam Rosenthal returns the band to its roots here, with a lush blend of ambient electronics, classically-minded melodies and strings – even original vocalist Oscar Herrera has returned after a 17-year absence. But this is no retrenchment – instead, Rosenthal chooses the best framework for each song. Indulging in his trademark philosophical romanticism, Rosenthal gives Herrera (and his daughter Dani) austere, intimate backdrops for their emotional interpretations of his lyrics. Simple synth riffs, plangent acoustic guitars and Nick Shadow’s keening viola form the bulk of the portraits, but Brian Viglione’s drums and some widescreen arrangements add colorful accents. Pushing at the edges of the band’s archetypal envelope, Rosenthal leads btfabg through stirring folk pop (“She’s Gone,” “One Promised Love”), neoclassical interludes (“Six Thirteen”), bright rock (“Limitless,” “Bike Shop/Absolute Zero”), prog rock-like soundscapes (“She Ran So Far Away”) and even a sort of gothic psychedelia (“Zug Köln,” featuring prominent electric guitar) – all tucked comfortably in between more traditional fare such as “Desert Rat-Kangaroo,” “Affinity” and “Please Don’t Go.” The album opens with one of Rosenthal’s most ambitious songs: the nearly 18-minute “The Vastness of Life” combines the ambient instrumental epics of his solo work with appropriately dramatic performances from Oscar Herrera into a piece that almost feels like an album on its own. L’atteso ritorno di Sam Rosenthal sotto il moniker dei Black Tape For A Blue Girl dopo sei anni dall’ultima uscita, anticipato dall’Ep Limitless, vede una maggiore enfasi verso le sonorità più oscure e dolenti che già avevano caratterizzato il progetto nei suoi lavori migliori degli anni 90. Il tuffo nel passato è completato anche dalla formazione: se Brian Viglione (ex-Dresden Dolls) è stato confermato alla batteria, l’atteso ritorno dello storico cantante Oscar Herrera, con il suo stile classico e solenne, contribuisce notevolmente alla caratterizzazione dei brani, arricchendoli di eleganza dolceamara. Accanto a lui c’è anche la figlia Danielle Herrera, emozionante e passionale: una presenza che contribuisce a rendere i brani piccole gemme immerse nel buio. Intitolato These Fleeting Moments, non per caso come il brano iniziale di A Chaos Of Desire del 1991, l’album è caratterizzato da un’intensa atmosfericità che viene espansa fino a coprire ben settanta minuti di pathos e malinconia; come se ci si specchiasse e si affogasse nei ricordi, lasciandosi prendere dalla nostalgia. Ed è proprio “atmosfera” la parola chiave che si dipana lungo tutto l’ascolto, attraverso tonalità romantiche e malinconiche, ma da un retrogusto anche mistico ed etereo, quasi surreale. L’ispirazione è tangibile fin dall’iniziale suite di diciassette minuti “The Vastness Of Life”, suddivisa in cinque movimenti densi di esistenzialismo e forti emozioni nostalgiche. Si tratta probabilmente del vertice emotivo e disperato dell’album: funerea e cupissima, tanto nelle liriche afflitte (“don’t reject me for who I am”, “life can pass us by in an instant and what have I done”) quanto nei soundscape costruiti dagli strumenti (in particolare la viola di Nick Shadow). Sembra quasi annullare gli ultimi lavori e proiettare direttamente ai tempi di “Remnants Of A Deeper Purity”, ma rispetto ad esso il nuovo album si sviluppa lungo il suo corso con un pizzico in più di manierismo e di eterogeneità, anche nel proporre più intermezzi strumentali dove la voce cede il posto ai soundscape sopracitati. Il primo fattore si rivela un po’ una medaglia a due facce, giacché da un lato rende il disco meno spontaneo e significativo, dall’altro ne esalta la cura negli arrangiamenti e nelle scelte melodiche – mai fuori posto, sempre inserite in maniera certosina dove più colpiscono il cuore, anche se forse a volte un po’ dilungate. Ci sono momenti in cui la desolazione lascia il posto a una malinconia più dolce (su tutti “Affinity”, con il suo carosello di tastiera da lacrime), oppure sublima in un gotico funereo praticamente allo stato dell’arte (come nella strumentale “Please Don’t Go”, che è ciò che progetti come i Lacrimosa cercano invano di musicare da sempre). Als er één band is die lang bij mij is in mijn muzikale zoektocht dan is het de band met de schitterende naam Black Tape For A Blue Girl wel. Dit is de groep rond Projekt Records labelbaas Sam Rosenthal, die helemaal past bij het 4ad label uit de jaren 90, maar tevens bij het ter ziele gegane Duitse label Hyperium. Projekt huisvest menig ambient, darkwave, heavenly voices en gothic bands, waarbij Black Tape For A Blue Girl sinds 1986 altijd een fijn midden van dat alles is. Een soort This Mortal Coil, zij het dan dat ze een vaste band zijn. Wel wisselen de leden met enige regelmaat. Na 7 jaar absentie keren ze terug met hun elfde release These Fleeting Moments in hun 30-jarig bestaan. Hierop keert zanger van het eerste uur Oscar Herrera (The Sleep Of Reason, El Duende) terug, die net zo’n kenmerkend stemgeluid heeft als Brendan Perry dat voor Dead Can Dance heeft, maar dan een tandje hoger. Voor de rest bestaat de groep uit Sam Rosenthal (gitaren, moog, harmonium), Danielle Herrera (zang), Nick Shadow (altviool) en Brian Viglione (drums) van The Dresden Dolls. Daarnaast mogen ze rekenen op steun van gitaristen Chase Dobsonen Erik Wøllo, zanger Michael Plaster (Soulwhirlingsomewhere) en fluitist Mark Seelig. Ze brengen hier een fijne mix van etherische muziek, dark wave, ambient, dark gaze, neoklassiek, dark folk en een toefje gothic. Het is een perfect uitgebalanceerd album geworden waarbij ze goed weten te variëren met dramatische, extroverte, introverte, mysterieuze, instrumentale, gezongen, spoken word en dromerige songs, hoewel de scheidingslijn niet altijd zo scherp ligt. Veel belangrijker is dat het weer van een unieke schoonheid is en dat ze zich gewoon blijven vernieuwen. De groep met één van de mooiste bandnamen ooit maakt na 30 jaar nog altijd muziek die ertoe doet en waar je intens van kunt genieten. 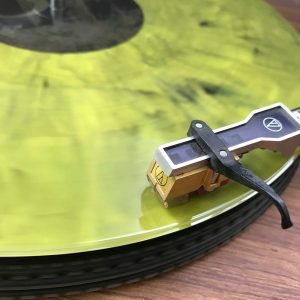 De kickstarter van dit project, zoals ik zelf, ontvangt ook nog eens de mini cd Fleeting, die met 10 nummers nog altijd goed is voor 38 minuten muziekplezier. Hierop staan de epees Limitless en Bike Shop, aangevuld met de tracks “Fleeting” en “Icy Drone”. Ze tappen uit hetzelfde vaatje als op de nieuwe cd, maar brengen genoeg alternatief vermaak. Hiermee krijg je een schitterend addendum op een evenzo album. The album spans thirteen emotionally charged selections spanning styles from goth to ambient and ethereal. Overall it contains all of the captivating elements that we’ve grown to love from them from those albums in the 90’s and thereabouts. It even kicks off with a nearly eighteen minute opening track “The Vastness of Life” with various movements very similar in structure to the 20 minute classic piece “For You Will Burn Your Wings Upon the Sun”. This track is broken down into three main movements, the first few minutes with Oscar singing a dark and brooding piece. The mood and style shifts just a bit over ambient soundscapes then it’s back to the oppressive and heavy strings backing Danielle’s vocals for the next few minutes. Once again we drift off into soft ambience before picking up one last time with Oscar’s haunting tenor while Danielle’s angelic vocals back him. While I couldn’t put it on in it’s fulness on the radio show, it is a great selection that the listener can sit back and enjoy all 17 minutes and 42 seconds. As a special treat, if you pick up the single Limitless you actually get the spanish version of the first three minutes of this piece titled “Quien Yo Soy”. Throughout the album we see more of these classic elements being brought back for this album, yet at the same time we also pick up on some refreshingly new elements as well. Case in point is the moving single from this album “Limitless”. We’re presented with a simple moving beat backing various elements such as various guitars and synths for a mild yet solid gothic touch. For those that pick up the single we also get the same music with different vocals for the track “Alaska”. Other selections bring classic elements and make them new across pieces like “One Promised Love” featuring the haunting tenor vocals backed by strumming guitar and hauntingly beautiful violin and subtle electronics. The dreamily beauty of “Affinity” is brought out through Danielle’s angelic vocals floating over the mesmerizing electronics as another new timeless classic. In similar fashion we’re presented with “She’s Gone” later on in the album which is another beautiful ethereal piece featuring softly plucked guitar backing the soft and beautiful vocals telling the story of love lost. This stellar piece starts off soft and sweet but slowly builds with added percussion, violin and electric guitar all creating a powerful climax before dropping off to the excellent and somewhat related, mostly instrumental piece “She Ran So Far Away…”. “You’re Inside Me” hearkens back to the earlier days when various electronic layers were the main backdrop to the tracks and once again we’re treated with Oscar’s powerful tenor voice to bring the album to a close with style. Black Tape for a Blue Girl, una de las bandas que originó el dark wave, cumple tres décadas y celebra lanzando un nuevo disco que incluye el regreso de Oscar Herrera. El vocalista, uno de los miembros fundadores del grupo, estuvo alejado del mundo musical por diecisiete años. Formado en Los Angeles (California), Black Tape for a Blue Girl tiene como genio creativo a Sam Rosenthal. El multiinstrumentista y productor es el único integrante que ha participado en cada uno de los once elepés editados por la agrupación; no obstante, la etapa más prolífica se dio cuando llevaba las riendas compositivas junto a Herrera, despachando obras icónicas del movimiento dark experimental como The Rope (Projekt, 1986), Mesmerized by the Sirens (Projekt, 1987) y As One Aflame Laid Bare by Desire (Projekt, 1999), este último con gran repercusión. Por ello, el retorno del también guitarrista motiva alegría dentro de la etérea oscuridad de las melodías del ensamble. Esto dio origen a la placa con que Black Tape for a Blue Girl vuelve luego del EP Bike Shop (autoedición, 2015). El undécimo registro de estudio del conjunto estadounidense muestra un regreso al sonido de aquellas producciones iniciales que marcaron pauta a toda una generación de músicos en la segunda mitad de los ’80, en desmedro del anterior, 10 Neurotics (Projekt, 2009), en que los pasajes electrónicos eran la base del desarrollo de los temas. La agrupación retoma la intensidad etérea en las melodías y el dramatismo apasionado en la lírica, convirtiendo a These Fleeting Moments en su disco más luminoso. La obra, compuesta por trece temas, cuenta con una potente lista de invitados: Brian Viglione (The Dresden Dolls) en batería, el multiinstrumentista Chase Dobson en bajo y guitarra, Michael Plaster (Soul Whirling Somewhere) en voz, los artistas electrónicos Erik Wollo y Mark Sela, y Danielle Herrera –hija de Oscar– en voces y coros. Esta joya fue editada a través de Projekt, sello fundado por Rosenthal en 1983 que se caracteriza por un catálogo de perlas musicales y nombres de primera línea en dream pop, shoegaze, dark y ambient rock. Nuovo album, nato da una campagna di crowdfunding, per la creatura di Sam Rosenthal a ben 9 anni dal precedente 10 Neurotics. Il progetto ha quest’anno compiuto i trent’anni di attività e con questo nuovo lavoro (trattasi dell’undicesimo full length) li festeggia nel migliore dei modi. Se il disco precedente poteva infatti aver fatto storcere il naso a qualche fan di questa band, un culto nel suo genere, con These Fleeting Moments ritroviamo i Black Tape For a Blue Girl che tutti noi più amiamo per quanto durante l’ascolto non manchi qualche sorpresa a rendere l’album più differenziato ma mai meno profondo, e non potrebbe che essere così visto tra l’altro il ritorno della più celebre voce della band: Oscar Herrera. Il tenore, presente nei primi 7 album del gruppo, rientra quindi dopo ben 17 anni alla corte di Rosenthal e lo fa, oltretutto, accompagnandosi alla figlia Danielle, nata poco prima dell’uscita di The Rope, prima fatica della formazione. Il nuovo album è formato da 13 canzoni per 70 minuti di durata e riporta sin dalla bellissima traccia iniziale al freddo calore dei Black Tape anni Novanta con i 18 minuti di “The Vastness of Life”, brano etereo e malinconico che non sfigurerebbe nella loro perla Remnants of a Deeper Purity. La traccia, ricca di pathos, è suddivisa in più parti ed esplora i temi fondamentali dell’album facendosi domande sulle scelte della vita, sulla propria storia personale, su quanto e come sia possibile credere ad eventuali ideali ed agire seguendoli. Il brano è inizialmente un Goth/Neofolk assai cupo dove subito ritroveremo la considerevole solennità della voce di Oscar Herrera che tanto ci mancava, nel suo sviluppo incontreremo poi una parte Neoclassica evocativa e rarefatta dominata da un violino piangente prima che le tastiere di Sam introducano alla seconda metà del brano dove faremo conoscenza con la voce fortemente espressiva di Danielle Herrera; saranno i synth ad accompagnarci al finale, la parte più intimamente gotica di questa ottima apertura di disco, che impegnerà nuovamente al canto Oscar che la figlia Danielle accompagnerà dalle retrovie con la sua angelica voce. Nel disco ogni traccia ha un suo valore, non troviamo riempitivi. Trovo personalmente da segnalare “One Promised Love”, dolcissimo brano con meraviglioso violino e chitarra acustica in primo piano, delicatezza che fa da contraltare al canto sì delicato ma estremamente denso di Herrera (padre); “Affinity” dove la voce sognante di Danielle emerge dolce e malinconica dal mesto tappeto di synth, o l’ancor più funerea “Please Don’t Go” strumentale di ottima fattura dove la malinconia delle tastiere e degli archi (Nick Shadow è indubbiamente un altro grande protagonista di questo album) scava nei vuoti dell’animo descrivendoli con perfetta desolazione. Nella seconda metà del disco troviamo l’intensità Tribal-Psych Rock di “Zug Köln” che ci porta ad incontrare la chitarra di Erik Wøllo (artista prodotto dalla Projekt di Sam Rosenthal) co-autore del brano, per poi trovare sentori di Dead Can Dance nei 10 minuti di bellezza ipnotica e ancestrale di “Meditation on the Skeleton” e nella dolce nenia più Folk-Pop “Desert Rat-Kangaroo” con le sue eleganti trame di pianoforte. Sarà dunque il momento di “She’s Gone” brano che mette in risalto la grazia della voce di Danielle che qui, vulnerabile, ci racconta di un amore perduto, il pezzo, triste e dolce, scandito da una chitarra pizzicata con gran delicatezza, nella parte finale va a sposarsi meravigliosamente con l’intensità portata da percussioni, violino e chitarra elettrica che forniscono l’ideale trampolino per il tuffo negli umori Shoegaze/Post Rock delle fragili e vigorose note dell’ottima “She Ran So Far Away That She Can No Longer Be Found”. Nella conclusiva “You’re Inside Me” un Oscar Herrera in gran spolvero si congederà su una base elettronica di pregevole fattura al quale il violino di Shadow andrà ad aggiungere nella parte conclusiva del brano la giusta tensione. 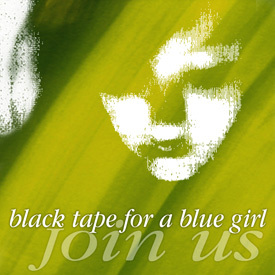 Black Tape for a Blue Girl has been one of the most popular entities in the world of darkwave music, with These Fleeting Moments marking the act’s twelfth album. Consisting of the group’s usual brand of classical and ambient crossover, the new album features the Black Tape sound in fine form. While many goth and darkwave acts rely greatly on exuberant vocabulary and lengthy paragraphs to achieve some semblance of lyrical depth in describing simple feelings, Black Tape for a Blue Girl gets right to the point with only the occasional metaphor. It is not hard to understand what these lyrics mean the first time, even as it slowly becomes clearer with each listen that there’s something more between the lines. More than just songs about love, death, life, and hate, tracks like “The Vastness of Life” and “Desert Rat-Kangaroo” try to create a new perception of reality, make the listeners reevaluate the bases that life has settled for them and if it is possible to consider an extreme makeover. The most explicit on this may be “Meditation on the Skeleton,” which really made me get into a different state of consciousness. However, the minimalistic sound and length in some tracks may become an issue for some, as many sections of white noise or blank spaces are found between the five parts of “The Vastness of Life” or the ending of almost all of the songs. It could have been on purpose, as I don’t think someone like Sam Rosenthal, who has been in the industry for many years, makes mistakes of this sort, but it doesn’t give the best aesthetic impression. The very few instrumental tracks have a more contemporary sound with more of a rock influence that reminds a little too much of a non-electronic The Birthday Massacre. The three of them represent a new face of the band – perhaps more commercial, but also with a singular attractive ideal for newcomers. It is a shame that we have a little, quick vocal section at the end of “She Ran So Far Away that She No Longer Can be Found,” breaking all of the enchantment. For anyone who doesn’t really know if Black Tape for a Blue Girl could be their kind of music, there is a free album on the group’s Bandcamp that could serve as an introduction and clarify some doubts on Black Tape’s general style; although, I strongly encourage you to give These Fleeting Moments a try and discover a new style that you might like, as it happened with me. -Alan D.D. 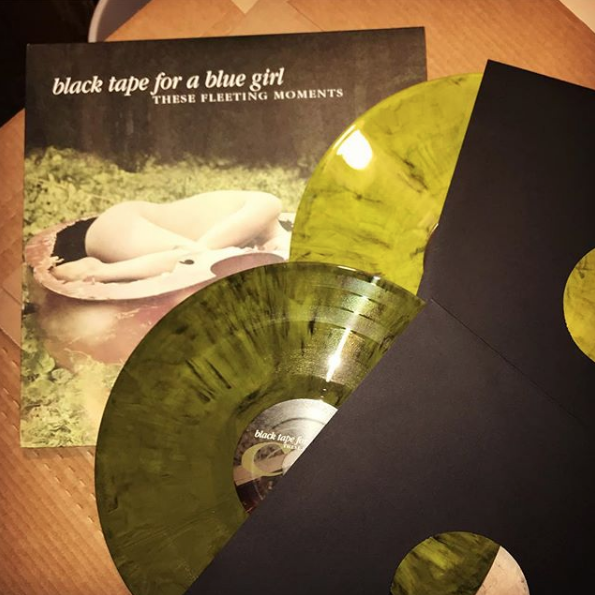 Black Tape for a Blue Girl will re-release their summer 2016 album, These Fleeting Moments, next week – this time on vinyl. The record represents a mixture of classical, darkwave, ambient, gothic and rock inclinations. A diverse record, fans from a wide spectrum of genres will likely find something to enjoy here. Meanwhile, long time followers of the group will be pleased to see Black Tape for a Blue Girl have not lost their unique style. “The vastness of life” opens These Fleeting Moments in a pleasingly recognizable Black Tape for a Blue Girl fashion. This four-movement track begins with instrumentation that somehow feels both sparse and sweeping. Deep and dragging background vocals compliment the sharp and clear lead voice in this section. The song builds to a breaking point – and then does exactly that. After a pause, listeners can hear the emergence of more classical instrumentation. The string-forward second section of this first track weaves a gothic tale in music – evoking cold stonework by candlelight. Next, the piece takes another slight turn as female vocals enter, along with moderately ominous orchestration. Act four of this piece weaves a mystical vibe through natural sounds. Engaging and immersive, it closes the loop on a sorrowful but strong note. “The vastness of life” could easily become the basis for a full-length gothic rock opera. As These Fleeting Moments continues, tracks such as “Limitless” keep the momentum up in a rock-infused style. “One promised love” then takes it down a notch, in a slightly tortured piece that recalls traveling storytellers of days long past. “Affinity” presents crystal and resonating vocals, while “Six Thirteen” is symphonic and foreboding. Further demonstrating Black Tape for a Blue Girl’s diversity in sound is “Bike shop/absolute zero.” This track plays like a darkwave hipster ballad. The majority of this tune is comprised of straightforward, breathy, barely sung vocals, which paint a clear narrative. Despite sadness in the words, this song seems to have a sense of humor ingrained in it. Later, the opening to “Please don’t go” has an otherworldly sensibility, as if depicting a foreign landscape. However, as the track builds, it evokes images of an old opera house. Classical and old world inclinations with a full-bodied undercurrent give this track appealing age and grace. “Please Don’t Go” feels like brushing dust off of old memories. Expert string work here increases tense sensations. “Zug koln” is electronic and entrancing – like the opening to an epic tale. Rock fans will be won over here by the wailing guitar and weighted percussion. The tune immediately gets listeners moving in their seats and is certain to remain lodged in their heads for a long time. A standout later in the album is “She ran so far away that she no longer can be found.” This is a piano-forward, but fully orchestrated, tune. Immersive and grand with a cinematographic feel, it perpetuates a sense that this whole record is a series of intertwining tales. “You’re inside me” closes out and ties the record together. It references material heard previously in the album – as though a narrator is wrapping up this chapter of an ongoing saga.